eToro is a highly innovative online trading brokerage that has become the world’s leading social trading network. eToro has disrupted and transformed the traditional money management industry by opening the financial markets to everyone, everywhere. Traders and investors who sign up with eToro benefit from the brokerages lucrative bonuses and promotions as well as their top of the line trading and copy trading services. The brokerage currently has millions of registered users from around the world and provides their services in 16 different languages. eToro was first established in 2007 and has continued to innovate and progress their trading and money management services year after year. Their company headquarters are located in Cyprus at KIBC, Kanika International Business Center, 7th Floor, 4 Profiti Ilia Street, Germasogeia, Limassol, Cyprus 4046. As well, eToro has two other head offices located in the United Kingdom and the United States. Since eToro is a leader in the global fintech revolution that serves everyone, they are licensed and regulated by multiple regulatory authorities including; the Cyprus Securities Exchange Commission (CySEC), the UK Financial Conduct Authority (FCA), and the Australian Securities and Investments Commission (ASIC). Therefore, eToro is a highly regulated and reputable online forex trading brokerage that specializes in social trading. Since eToro is the global leading social trading network, it’s obviously a great brokerage to trade with, but what makes them so great and what types of services do they provide? In the following review, we’ll delve deep into all aspects that eToro has too offer. We’ll analyze their trading platform(s), types of accounts, associates fees and costs, their level of customer care, and more. eToro keeps things simple by offering traders only 3 types of accounts so that beginners and newcomers to the platform do not get overwhelmed. 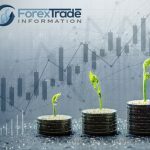 The account types available are a practice demo account, a standard trading account, and a professional trading account. See the accounts overviewed below. This type of account is for people new to eToro or trading and investing in general. Opening a demo account is free and traders are given an initial deposit of $100,000 in virtual currency. Traders can then use this money to invest and trade in all the markets eToro provides. Users can practice trading themselves and test out new strategies, or they can put their virtual money towards copying a real trader and see how that goes. The practice account operates just as the real account, so traders can become confident before investing and trading with real money. This type of account is for all retail investors and traders whether they’re beginners or experienced professionals. The standard account is quite dynamic as there are two primary ways of using the account. 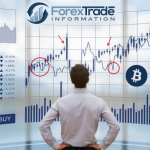 For instance, users can make their own trades while following other highly ranked traders, or users can simply automatically copy the trades of other users, or they can do both. 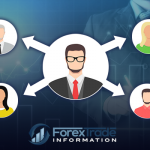 Therefore, instead of having different account types for social trading, copy trading, and individual trading, all of these can be done under the standard trading account type. To open a standard trading account, the user must make an initial deposit of $200 – $500. 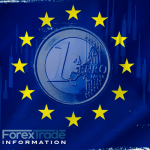 In order to open a professional trading account, the user must meet the certain criteria laid out by eToro. eToro features an exceptional proprietary web based trading platform that supports numerous investment and trading options. The eToro platform is the first social trading platform of its kind and quickly became a leader in the social trading industry. The platform is highly advanced and complex yet very simple and easy to use. The platform and it’s functions and features can easily be navigated and understood thanks to their intuitive design. Traders have access to advanced charting functionality where they can analyze the price and trends of their favorite investments. Multiple order types can be placed, and traders can create watch lists and notifications, so they never miss an opportunity. Apart from the regular trading and investing functionalities that most brokerages feature, eToro’s most impressive aspect is their social and copy trading functionalities. Traders can harness the wisdom of the crowd by seeing other traders positions, statistics, profit levels and trading strategies all in real time. Not only can traders view this information, but they can automatically copy it. The copy trading aspect of eToro is very advanced and allows traders to choose which traders to follow and which of their investments to copy. There is a sophisticated ranking system so that traders know who to copy and what their history is like. All in all, the trading platform provided to eToro clients is truly amazing and accomodates the needs of both beginner and experienced traders and investors. Besides from the web based trading platform for desktop computers, eToro also features an impressive mobile trading application for both iOS and Android devices. The mobile trading app can be downloaded from the Apple App Store and Google Play Store for free. The mobile app allows traders to not only view their portfolio and investments, but they can also view the feeds of other traders in real time. The app allows traders to manage their portfolio, follow and copy new traders, and more. Overall, it’s a highly functioning mobile app and is best used for the social trading aspect of eToro. eToro is constantly innovating and offering new bonuses and promotions to new traders who sign up to their platform. These welcome offers change from time to time, but there is almost always some kind of promotion. For instance, a recent welcome offer was a deposit bonus of up to $1000. When new traders make an initial deposit of a certain amount, they will be rewarded with a deposit bonus. eToro has very simple trading fee structure that offers traders competitive fees and commissions. Traders do not incur any annual trading fees or commissions for using their services, but rather incur fees through the spread on top of the price quotes of various assets. The spread fee varies between assets but is generally low or at least competitive with other leading trading brokerages. Traders do not pay any fees on deposits but do pay a withdrawal fee of $25. Another fee traders may incur is an account inactivity fee of $5 per month after account inactivity for 12 consecutive months. Also, traders will have to pay a conversion fee when depositing or withdrawing money from their account in a currency other than the US Dollar (USD). eToro supports a variety of deposit options for traders to choose from and usually the funds deposited are posted immediately in the traders trading account. See below, a list of the available deposit methods. As for withdrawals, they can be completed via Credit / Debit cards, PayPal, and Bank Wire Transfers. Withdrawals are generally processed within 1 business day but may take longer to show in your account, depending on the method. Withdrawals can only be completed once the trader verifies their identity and submits the necessary documents. Withdrawals must be a minimum of $50 and come with a fee of $25. The customer support at eToro is truly exceptional as the support representatives are very friendly and informative. Support representatives can be contacted 24 hours a day, 5 days a week via email, fax, or telephone. Support is available in several languages and the eToro website has an extensive and comprehensive help center. What we think of trading at eToro? All in all, we think that eToro is an outstanding online trading brokerage due to their innovative social and copy trading functionalities. The brokerage is great for all types of traders no matter if they’re just starting out or are an experienced veteran. The platform is highly functioning and easy to use, and traders have access to a wide array of tradeable assets across the global markets. Overall, we highly recommend eToro to anyone looking for a reliable social trading platform. 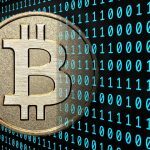 Is Cryptocurrency Volatility A Risk To Broker Solvency? Copy Trading: What Is It And Should You Consider It?